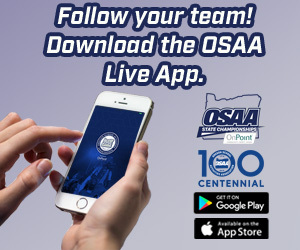 Automatic Qualifiers – Twenty-eight singles and doubles teams automatically qualify for the OSAA's 28-person bracket. Each league determines how they will select their allotted playoff spots. Cut-off Date – The automatic qualifiers must be determined by 10pm on Saturday, May 11. Once the qualifiers are determined, the seeding committee will seed the top eight players and the remaining spots on the brackets will be filled in randomly.